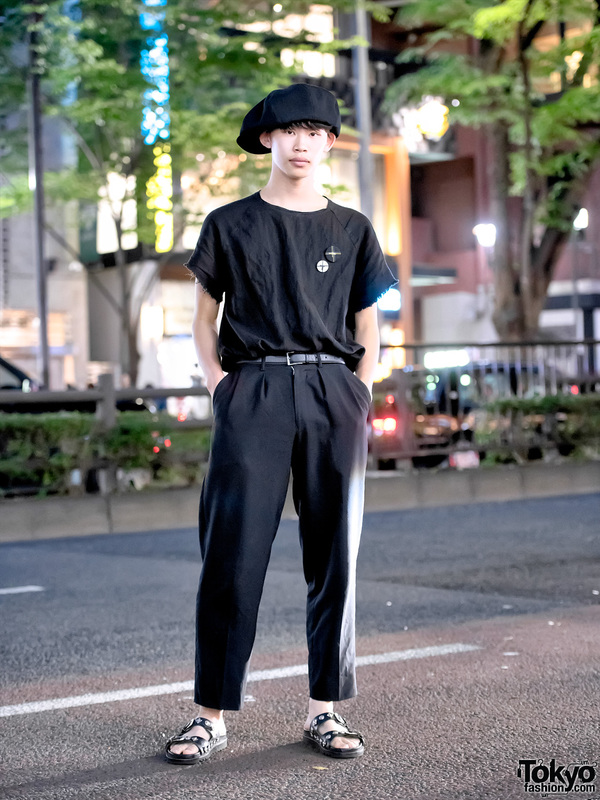 Harajuku performer in a minimalist street style with gray t-shirt, black pants, platform sandals, a pink tote bag, knit cap, gauged ear and a watch. 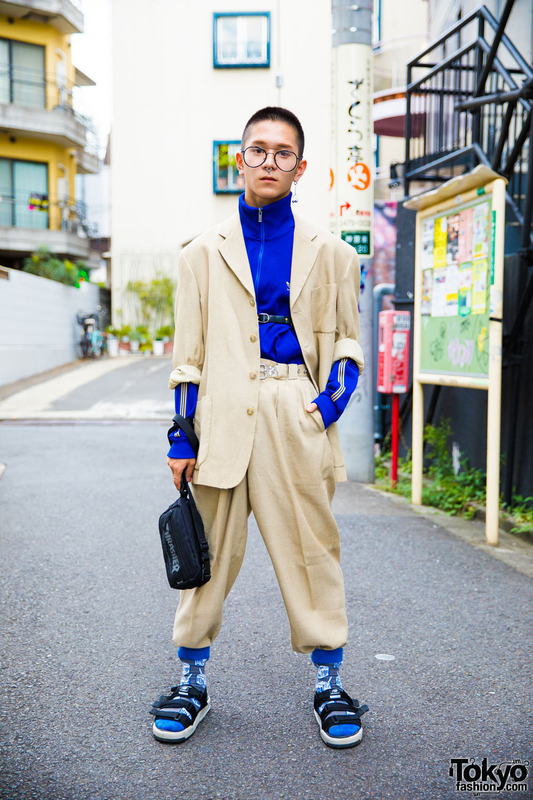 Harajuku student in vintage suit street style wearing a tan suit, blue zipper jacket, print socks, sandals, and accessories including round glasses, belt, silver earrings and a nose ring. 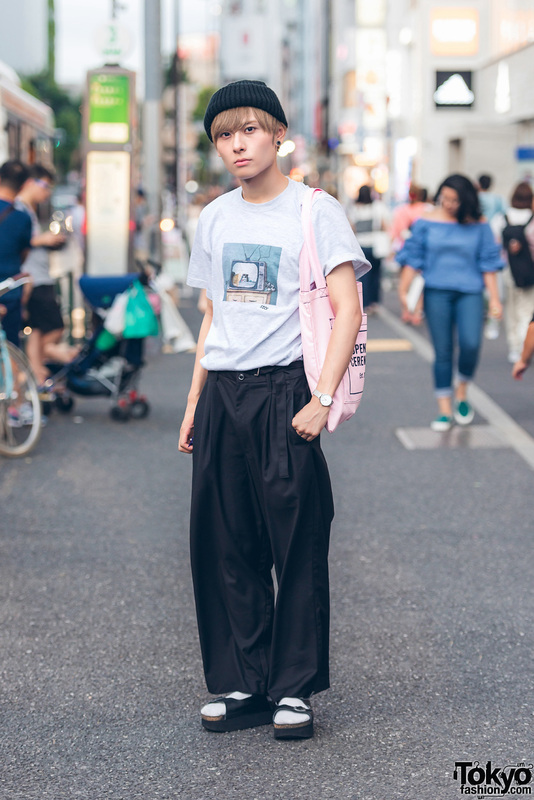 Japanese YouTuber on the street in Harajuku wearing a suit covered in illustrations by the legendary Japanese designer Yohji Yamamoto. Harajuku girl in minimalist street style wearing ribbed sweater, cuffed denim pants, vintage sandals, canvas tote bag, silver rings and a vintage straw hat. 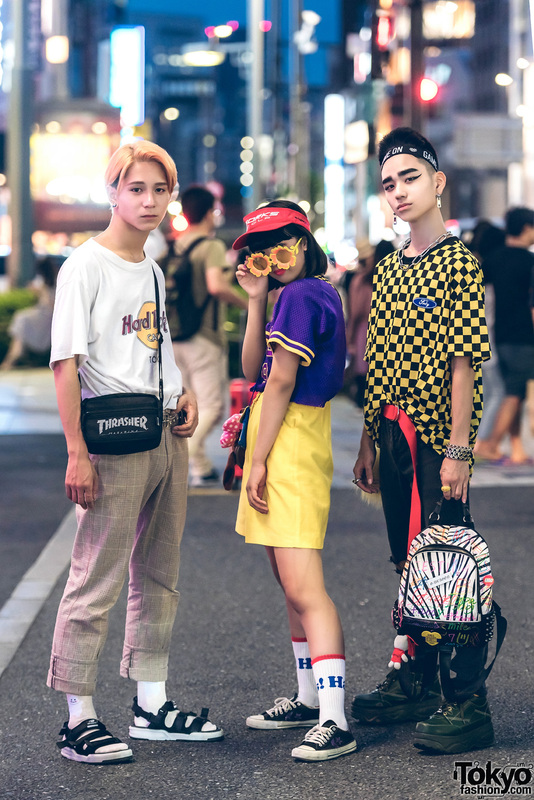 Harajuku girls wearing vintage t-shirt paired with drawstring pants, embellished sandals & tote bag plus black dress with rainbow socks & platform sandals, and black berets. 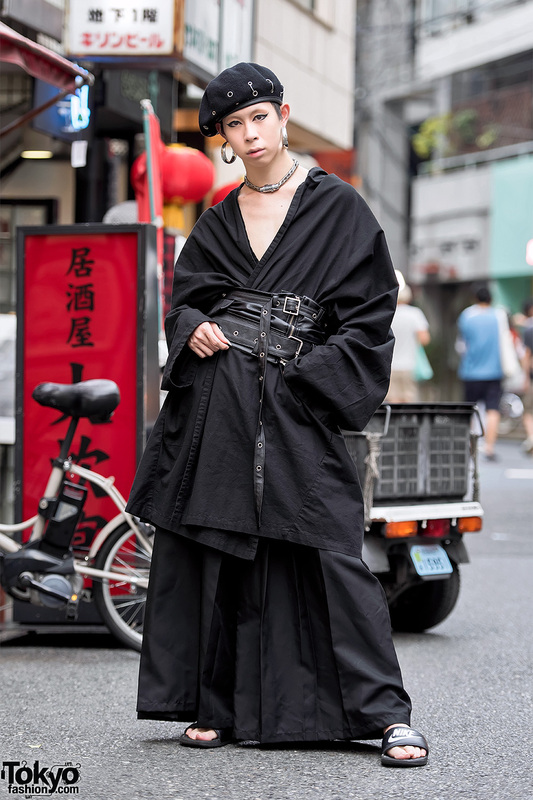 Harajuku designer wearing a gothic meets yukata style with a vintage kimono jacket, wide leg pants, corset, grommets beret, and bicycle chain choker.